According to Raising Children Network, rules should be based on the most important things. These could include issues related to safety, manners, politeness, daily routines, and how to treat others. Be sure to explain to your child carefully why the rules are necessary and make the rules specific and clear. Here are five family rules that set boundaries for responsible behaviors in your family that could help you to raise confident children. A high value must be placed on honesty in children’s upbringing. So teach them to tell the truth in spite of the consequences. It is important then, that your children do not feel that they are punished because they tell the truth. Of course, like all other rules, it is important that you are the role model for your children by being honest yourself. Children must be taught to respect others. Learning to say “I am sorry” is a good place to start. Help your children recognize that respecting others mean that they should not speak negatively to or about them. Also, teach them to praise the achievements of other people. Help your children to understand that they need to listen to the viewpoints of others. This helps them to become more tolerant of those who are different from them. They should also learn to respect other people’s property and ask permission to use anything that does not belong to them. Children should be taught to show respect to everyone and specifically those in authority. So while your children's ideas should be respected, teach them not to argue with you. The same should be true for their teachers at school. If your child is not satisfied with how a matter is dealt with, encourage her to use the correct channels to settle the issue. Members of your family need to make their individual contribution in the home. For example, they should share responsibilities and chores as a part of the family. In so doing, your children, not only help to keep the home environment clean and orderly, they also get a feeling of belonging as family members work together to benefit each other. Teach your children to also value the contributions of each member of the family. Children should get permission from their parents when they are going out or making major decisions. For example, if your teenager is going out she should tell you what his or her plans are and when he or she will return home. Getting permission helps you to monitor your children’s activities and ensure their welfare and protection. This gives structure to your children’s lives which carries over into adulthood. In the YouTube video, registered dietitian Liz Weiss, outlines some mealtime rules for kids.There are other important rules which vary from one family to the next, and from one stage to the next in each family. Commit to instilling important rules that define the behavior expectation for your children and provide the boundaries they need in your family. Family is really important in our life, we need the support of family form the very beginning of our day, we should learn good positive things and also learn the value of life and family since our family. But apart from these, we should have also found certain rules and regulation prevailing in every family. 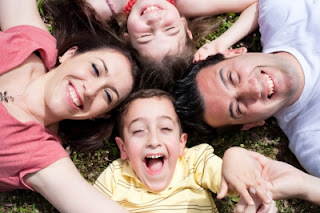 Here from this article, we learn some basic tips on family rules and regulation. Thanks for highlighting such important topics. Thanks for reading and commenting on my article, Ron. I happy you found it helpful.